Sara Valencia has been selected to represent Spain in Eurovision Young Musicians 2018 in Edinburgh. Sara was one of the six finalists in the TVE classical music competition, Clásicos y Reverentes. Sara is 18 years old and comes from Madrid. She has been playing the violin since the age of four. 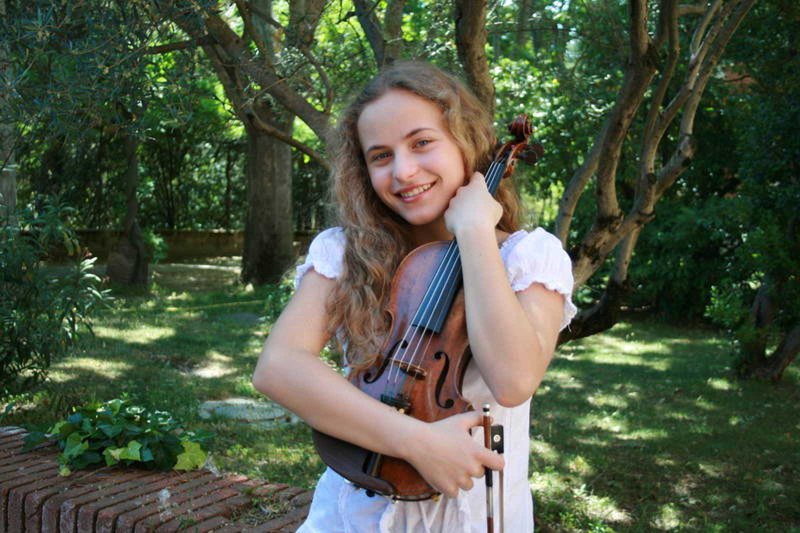 She is currently studying violin at the Queen Sofía College of Music, under the tutorage of Professor Marco Rizzi. She has performed throughout Spain, giving solo recitals and as a soloist for orchestras, such as in the Chamber Hall in the National Music Auditorium and the Cibeles Palace in Madrid. She has also taken part in many national and international violin competitions. Spain debuted in Eurovision Young Musicians in 1988, they participated in every contest up to 2002 before withdrawing. Spain only once managed to qualify for the final when Antonio Serrano took second place at the 1992 contest in Brussels. Eurovision Young Musicians 2018 will be held in Edinburgh at the Usher Hall. This is the first time since 2008 that Scotland has hosted a Eurovision event, the last being the final of the Eurovision Dance Contest. The 2018 contest will see the return of the semi-finals which will be held on August 18 and 19, with the final taking place on August 23. 18 countries will take part in the contest.